Let us tease your taste buds! 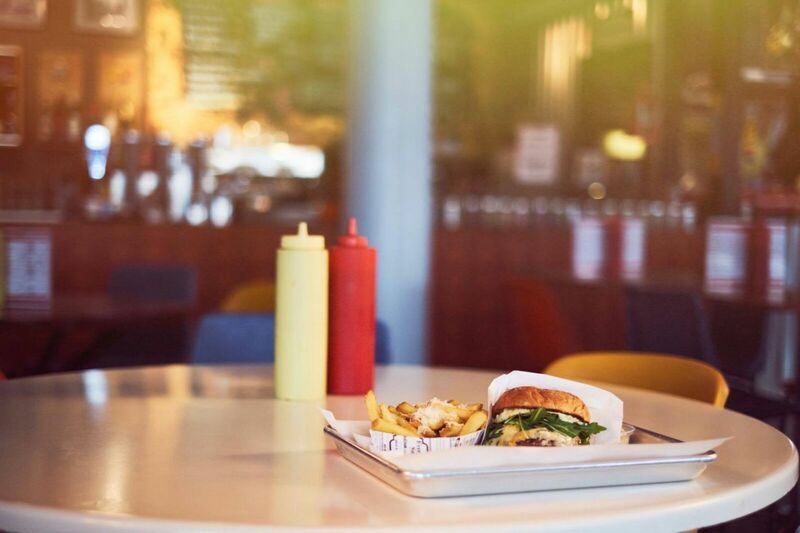 We listed 8 of the coolest eateries in Lapland from laid-back burger places to fancy restaurants boasting local ingredients, all with a unique atmosphere and culinary twist. The famous salmon river Tenojoki is quite a setting for a meal. Restaurant Deatnu (the Sámi word meaning Teno) in Utsjoki lies next to this mighty river, so you can count on fresh fish. 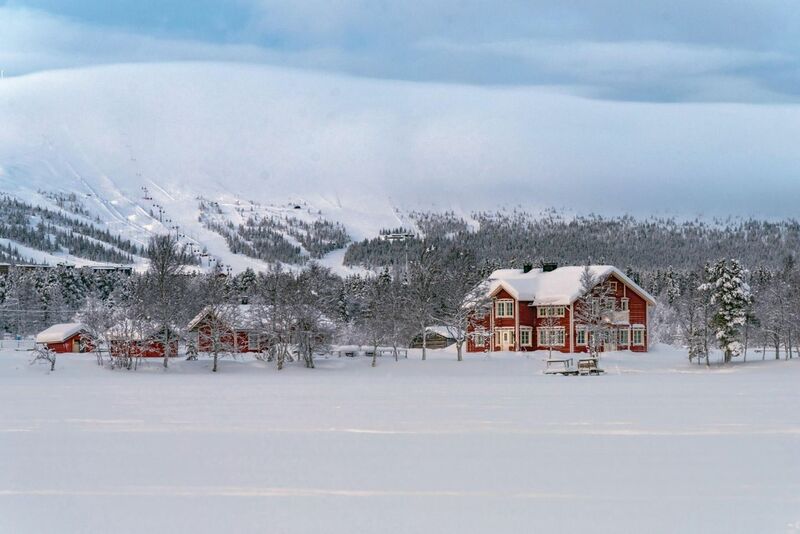 The wide and vast wilderness in the surrounding area provides a unique source for ingredients used in the traditional Sámi dishes. 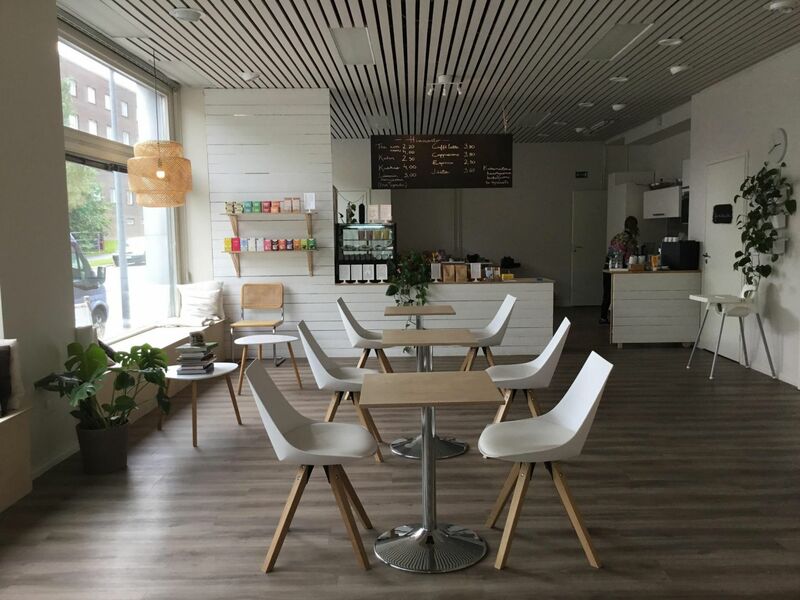 The charming old building on Valtakatu in Rovaniemi is home to Kauppayhtiö, a coffee shop like no other. The colorful round tables surrounded by groovy plastic chairs, fuzzy couches and tons of other stuff from typewriters to magazines make the place feel like your own living room. And they are all for sale. 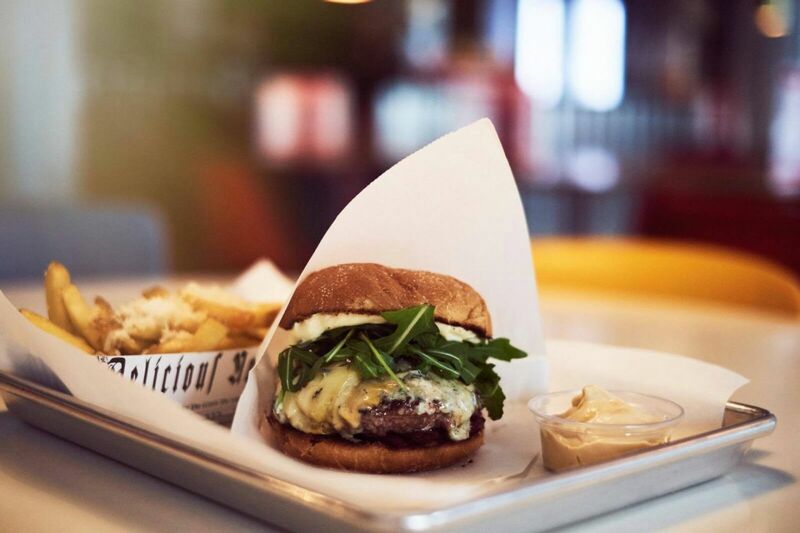 Kauppayhtiö boasts the best burgers and stone oven pizzas in town. Vegetarians will find their own interesting options. Coffee and tea are served in a wide variety of tastes. 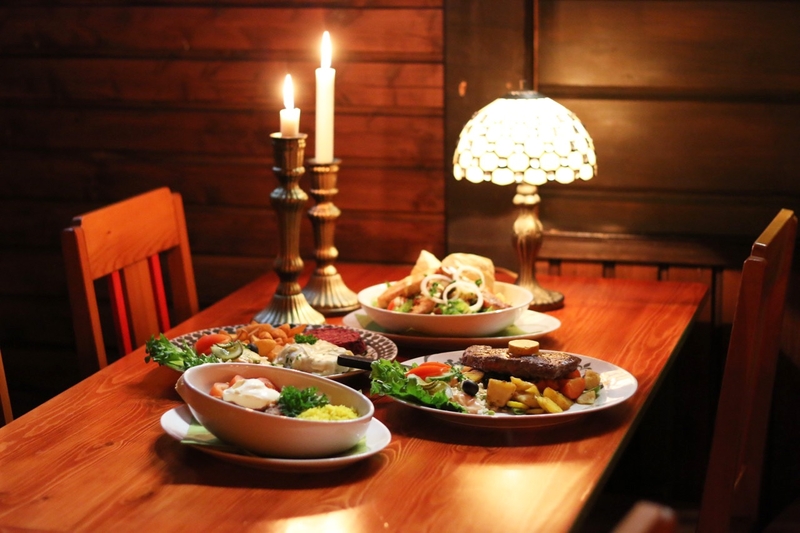 Restaurant Kammari at the foot of Olostunturi fell in Muonio is a laid-back place for both a light snack and a full course dinner. At Kammari you are never over or underdressed, just come as you are. The hearty dishes fill the stomach and tease your taste buds. The menu offers something for everybody whether you are looking for pizza and burgers or local surprises. The vegetarian options deserve a special mention. 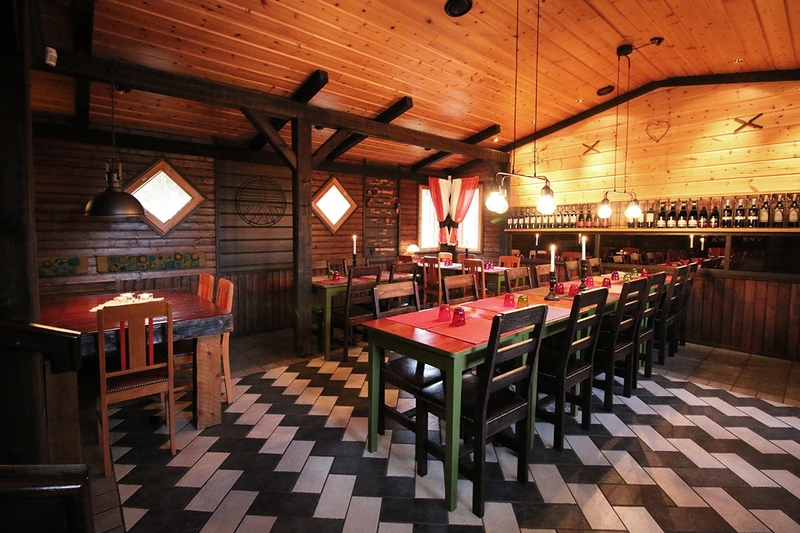 Restaurant Aanaar within Hotel Kultahovi in Inari, established 1937, boasts local ingredients. Fish come directly from local fishermen and reindeer from local herders, while wild herbs, such as garden angelica, come from the surrounding area. 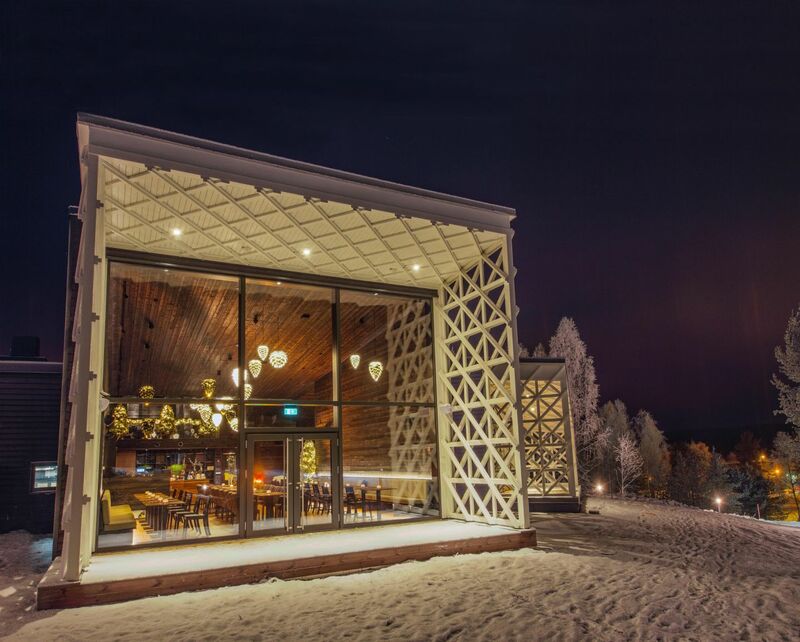 Restaurant Aanaar is ranked eighth in Finland on the White Guide Nordic, which lists the best restaurants in the Nordic countries. 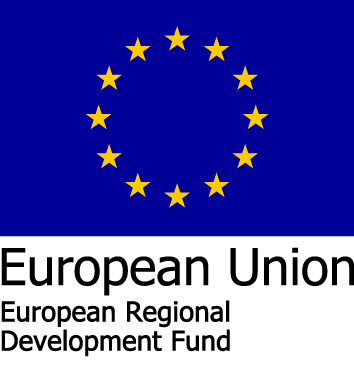 No wonder it is famous for quality cooking among locals and tourists alike. 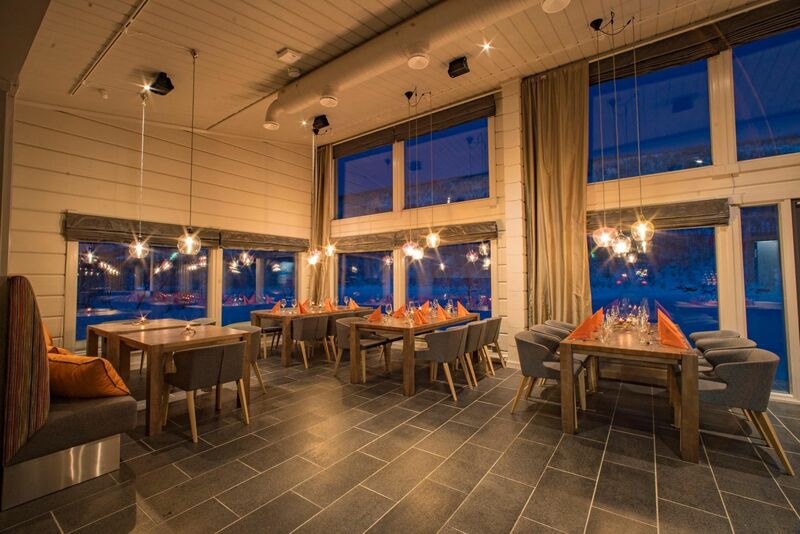 The dining experience is compounded by great views over the lowest rapids of the Juutuanjoki river. 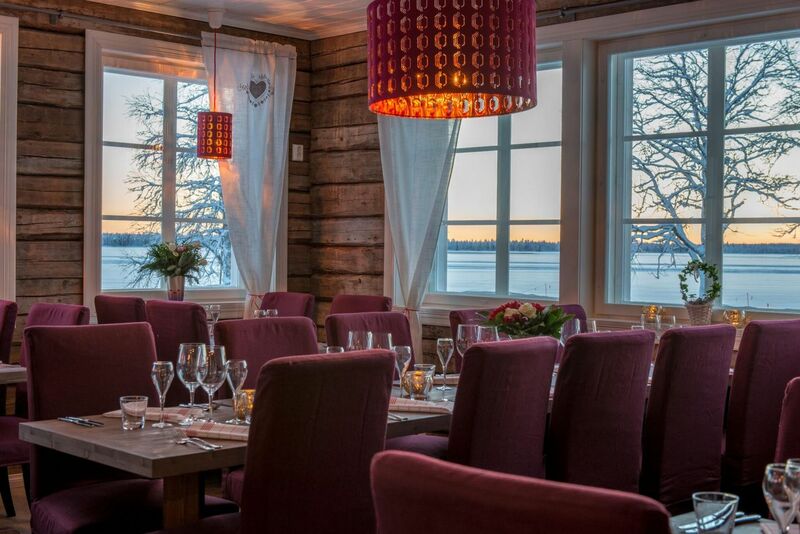 The rustic boutique hotel Aurora Estate hosts an atmospheric restaurant with a view over Lake Ylläsjärvi. Logs from an old log house are a distinct decorative element and bring that nice feeling of the good old days. 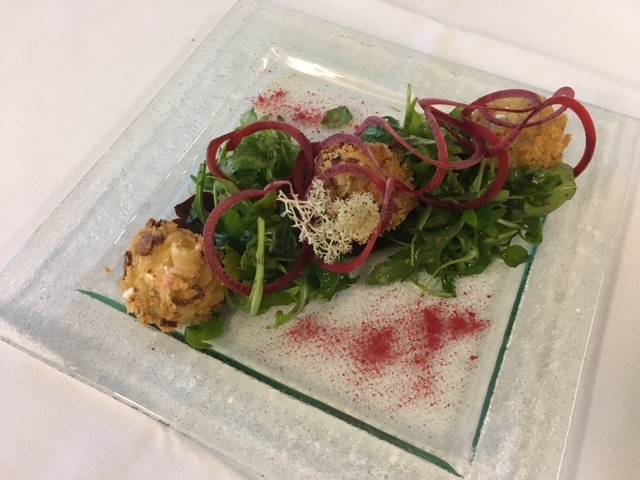 The food served respects local traditions and ingredients with a modern twist. 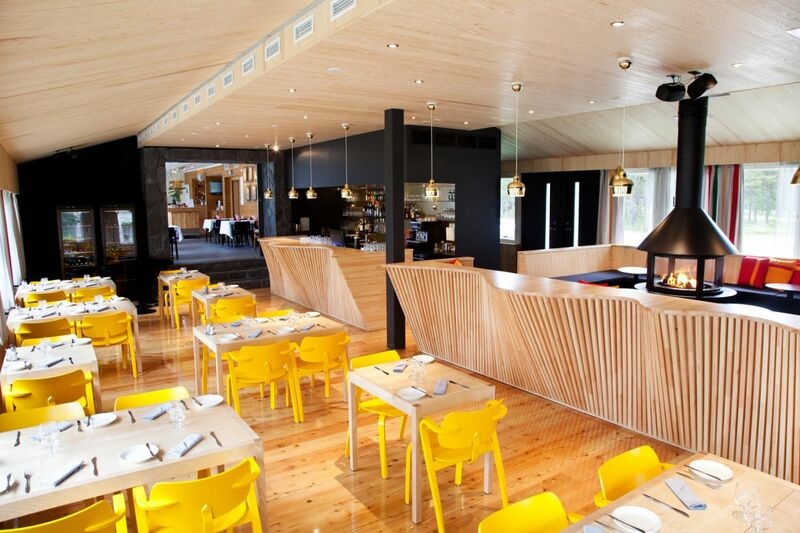 Even the traditional salmon soup gets a fresh approach in this stylish restaurant. 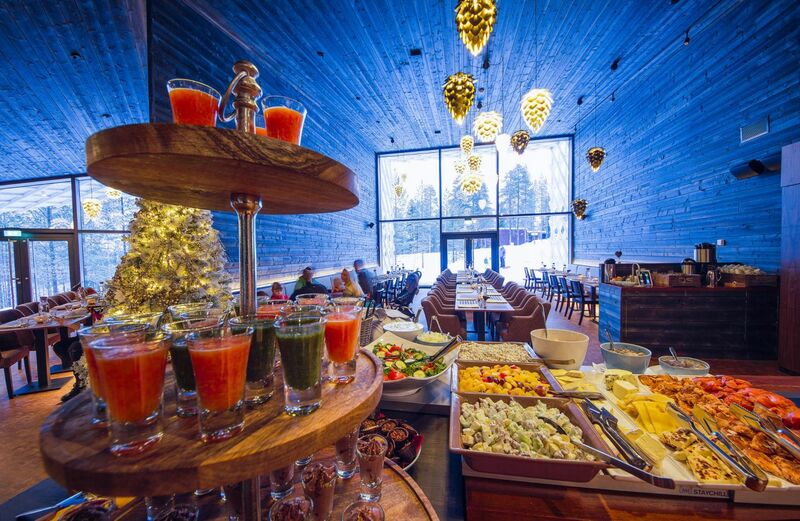 Only a 10 minute drive from Rovaniemi center lies a restaurant which provides food for all sensibilities. 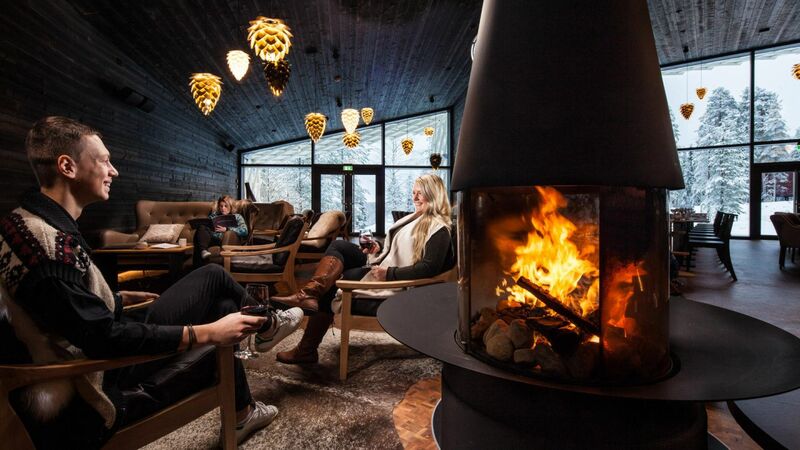 Restaurant Rakas, which literally means ‘darling’ or ’sweetheart’, has an inviting lounge with a fireplace and ambient music. The dark-toned decor combines typical Scandinavian simplicity with interesting details such as pinecone shaped lampshades. 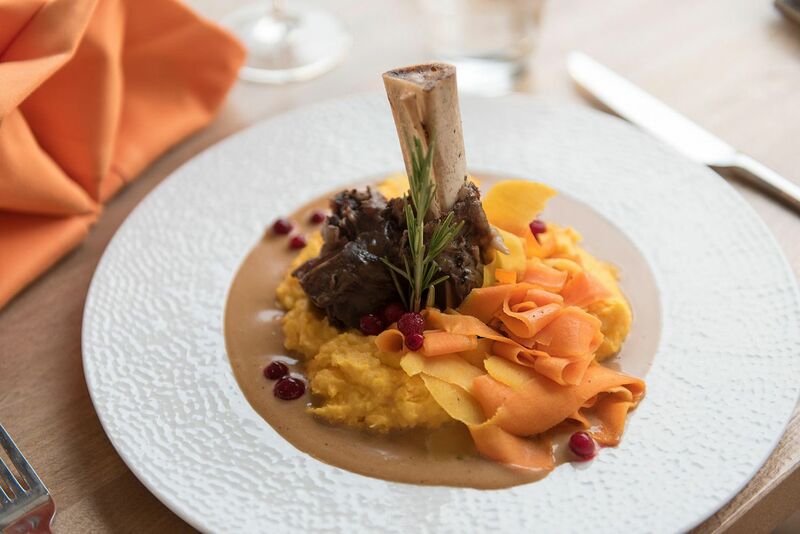 The menu includes traditional Lapland dishes like fish, reindeer, wild berries and mushrooms with a modern twist. Even the ice cream for dessert is local. A cozy place for a family lunch or romantic dinner, love and be loved! Fancy a waffle? At restaurant Tsokka on top of Kultakero fell you will not only get a tasty waffle with sweet or savory fillings, but also breathtaking views over rugged arctic nature. Another delicacy to try out are the teepee-shaped donuts baked every morning, so you can count of freshness. If a hike up to the top sounds like too much, no worries. The Pyhä Express ski lift takes you up and down while you just enjoy the views. At this cozy little café with a view over the Tornionjoki river, time loses all meaning. 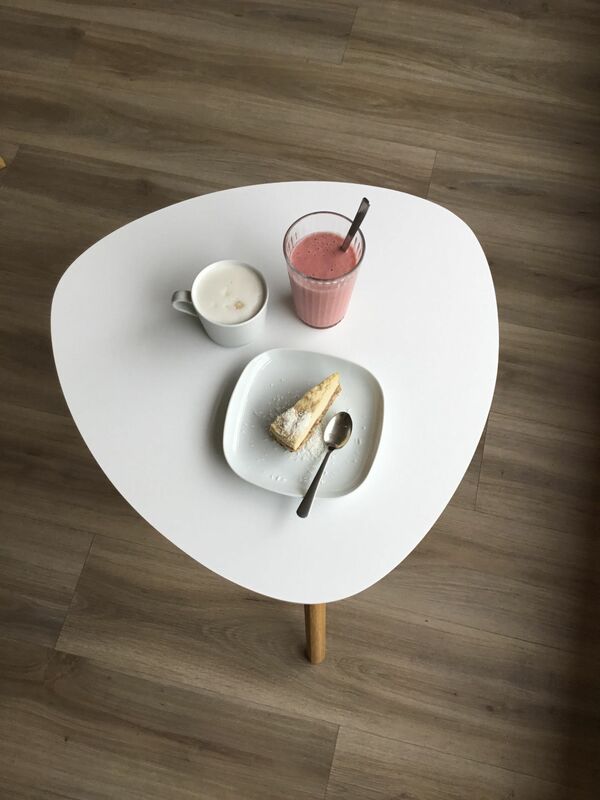 Have a cup of organic tea or treat yourself to a slice of a raw cake, which is a nutritious and yummy delight for a sweet tooth. Fresh pressed juice and a green salad make a nice little lunch. Brunch is served on Saturdays. All dishes are gluten-free. The wooden décor and large windows, which let in a lot of daylight, add to the harmonious atmosphere. Yoga classes are offered, even without reservation.